Ah, the soothing tones of Fred Harris. 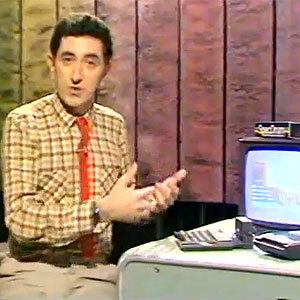 The voice of so much informative broadcasting in the 80s. A quick Wikipedia trawl reveals he now resides in the broom cupboard of British Forces Broadcasting Service. This clip from the BBC’s Micro Live computing show explains pretty everything you need to know about making techno in 1985. Or indeed today. It’s quite scientific, this method of making techno. Unlike the American version which is much more on the creative side.